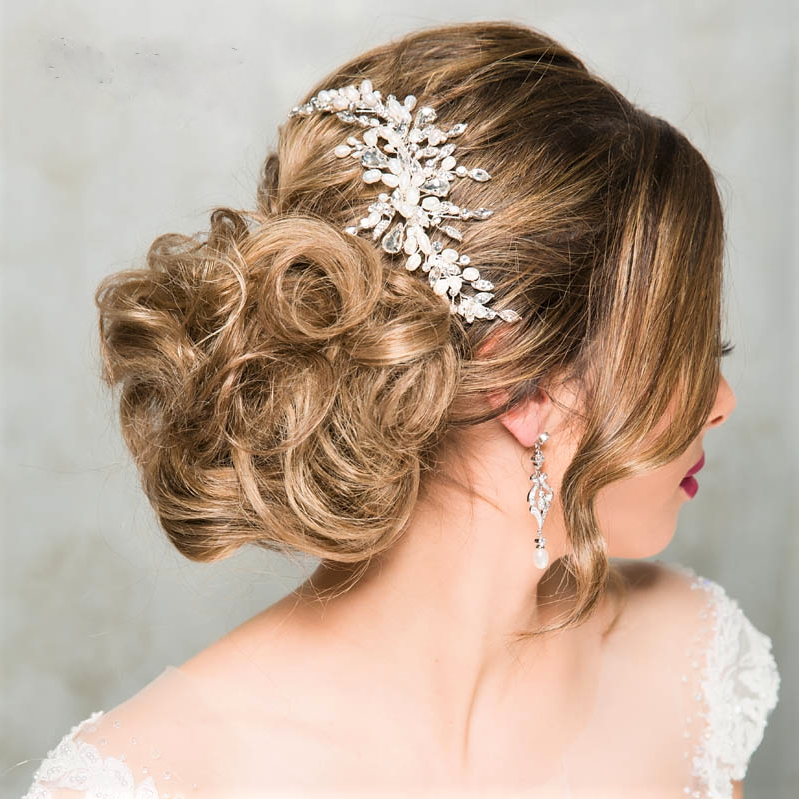 The gorgeous ‘Wanda’ hair piece is certainly a spray of beauty. 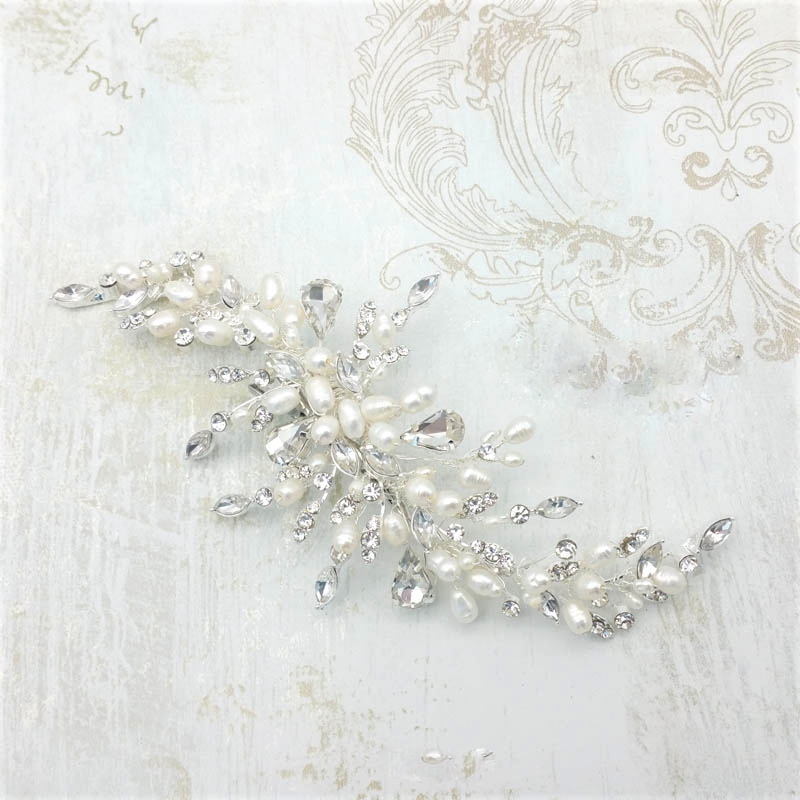 Made from ivory fresh water pearls and assorted Preciosa crystals with silver plating. 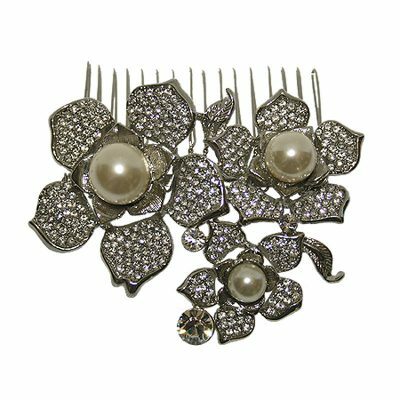 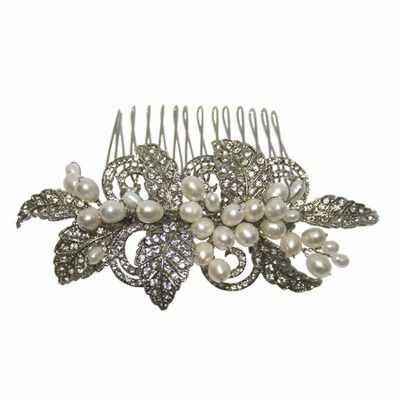 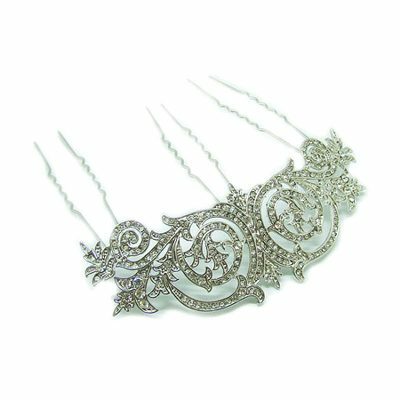 This hair piece has a strong alligator clip underneath to easily and safely secure to your hair.